So, your taking the plunge and you have decided on a Bali Wedding for one of the most important days of your life, so what’s the next step? Do I need the services of a Professional Wedding Planner or can we manage this ourselves? You can probably find a location, source a photographer, organize a caterer and hopefully find a great make-up artist, but to be honest it’s a huge amount of work and you don’t really know until it’s show time and maybe its just too late. If you engage the services of a reputable Professional Wedding Planner, you’re taking out all the guess work and unneeded stress that’s associated with the whole process. There are so many advantages of using a professional Bali wedding planner. It’s important you find a wedding planner that has a great track record, has been established for at least five years or more and if the company is Australian owned it should give you a little more peace of mind. They can help you work through the maze of options and issues to consider, such as getting married in a villa, hotel, chapel, or maybe on the beach. Making sure you choose the best photographer, makeup artist and formatting a budget are all easily managed by a Expert Wedding Planner because they have all the experience and above all the local knowledge – which is a massive advantage and bonus. The overwhelming popularity of Bali as a wedding destination has attracted plenty of unscrupulous companies seeking to make a quick earn. The industry is basically unregulated so it’s not hard to set up a website and start offering so called professional wedding services. If you’re unlucky enough to end up with an incompetent and unprofessional wedding planner, your dream day may become a nightmare and you may find yourself more out of pocket than promised by the planner. Little things can very easily go wrong in Bali that have a much larger impact on proceedings, even if you think you’ve got all the boxes ticked. Imagine your photographer was late or went to the wrong venue, or the confirmed wedding celebrant went to the wrong villa, or your caterer turned up with less alcohol than you originally ordered, the list goes on and the nightmare continues – do not risk it – these disasters happen and they are regular. Even Internationally branded hotels with reputations intact can be a little misleading when it comes to divulging complete information on the details of your wedding package. The venue itself may have a 5-star rating but that doesn’t necessarily mean some of the other services they arrange for you such as the make-up consultant, or the photographer, offer the same level of service as the hotel. If hotels can save money by providing additional services at a lower cost to fit into their expected profit margin then there’s a good chance this may occur. Watch out for cheap hotel wedding packages – they are there to get you in and then they slug you with all those charges. It’s also very important that you’re well versed in the legal parameters of marriage in Indonesia pertaining to religious requirements. For a marriage to be legally binding in Bali a religious and civil ceremony must take place. A reputable wedding planner will be aware of this and be able to inform you of the legal requirements and arranging the appropriate celebrant for your individual needs. Without a religious ceremony, couples are not able to be legally married in Indonesia. 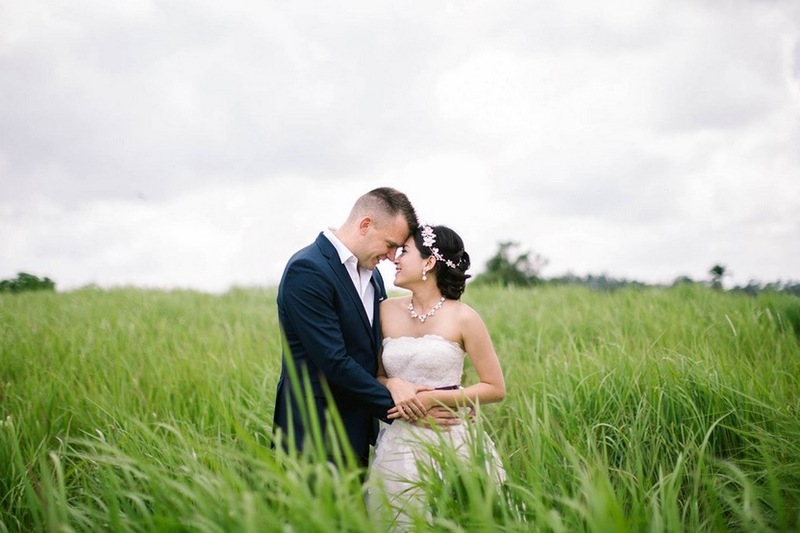 However many couples complete the legal aspect of being married in their home country before coming to Bali where the wedding function is held after a short symbolic ceremony takes place. No doubt you have a vision in your mind of your perfect wedding venue, whether it’s in an amazing beach front villa, 5-star hotel or in a chapel, an experienced wedding planner will be able to offer you personalized options based on your needs. Everything pertaining to the occasion including the ceremony, reception venue, venue layout, menu and catering, sound and lighting, decorations, floral arrangements, decorations, beauticians, villa accommodation and celebrants will be taken care of. Villa weddings are now in high demand; they provide the opportunity of an amazing setting amid luxurious surrounds and convenient accommodation. The bridal party will have accommodation at the same venue as the ceremony and after party making preparations for the event much easier. There are villa options providing plenty of sleeping accommodation for up to 20 odd guests and outdoor areas to cater for up to 200 hundred guests seated. Apart from that a villa wedding provides complete privacy, unrivalled luxury, and freedom to choose your own wedding planner, more flexibility for décor options and an amazing holiday to boot! So now after being a little more enlightened and excited to get the ball rolling for your dream Bali Wedding, contact the team at Your Bali Wedding. We have more than ten years experience planning weddings and honeymoons for people in Bali from all over the world. The company is Australian owned with offices in both Australia and Bali and a database of trusted suppliers through years of service has resulted in lots of very happy customers.